Electric wax melter. Available in white, black, and burgundy. 2 Large and 4 small wax melts per bag. 2 Large and 3 small wax melts per bag. 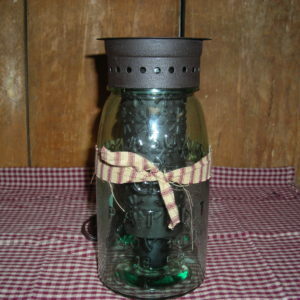 Mason Jar Electric wax melter. Wax melt on a stick. Double scented (tart is scented and icing is scented). 5 wax melts per bag.